Come to enjoy our new breakfast served every day from 7 am to 10.30 am. Our continental buffet will fill yours needs. 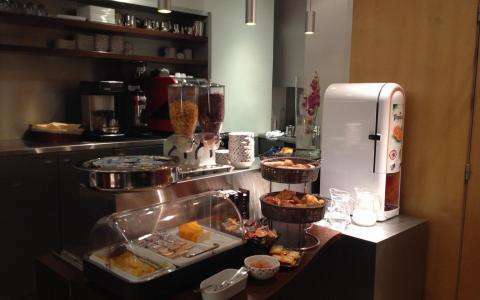 Hot and cold drinks, danish pastries, croissants, fresh bread, butter, jam, honey, cereals, fruit salad, cheese, eggs, yoghurts.